Centrally located in the heart of historic Hollywood, the multi-space Hollywood & Highland Center is easily accessible from the Metro, freeways and Downtown LA. The venue is fully equipped with in house lighting, AV capabilities, and contemporary table-top and buffet serviceware. Whether you are staying at the adjacent Loews Hollywood Hotel or are a local Angeleno, Hollywood & Highland Center will guarantee your event earns its own star on the Hollywood Walk of Fame! Put your guests in the spotlight at the home of the Oscars®. 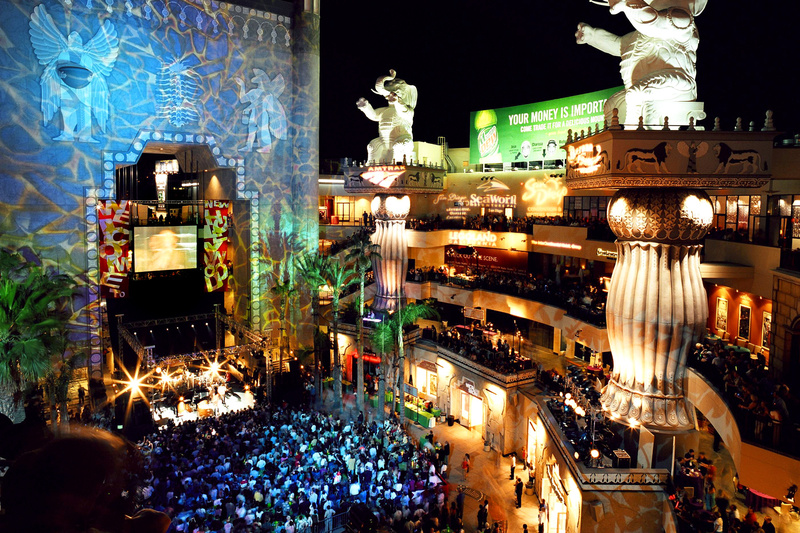 Boasting more than 30,000 square feet of event space in the theater lobbies, this venue includes live broadcast technology paired with the magic of Hollywood. It’s the perfect space for a large reception, a product launch or a dramatic dinner on the stage. 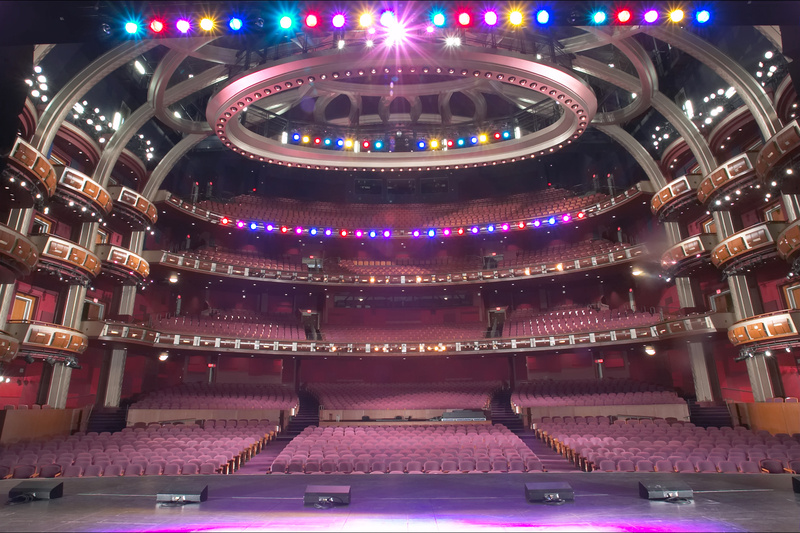 Hollywood & Highland’s largest venue and home of the Oscars® Governors Ball, the Ray Dolby Ballroom provides more than 25,000 square feet of adaptable space plus outdoor prefunction terraces. 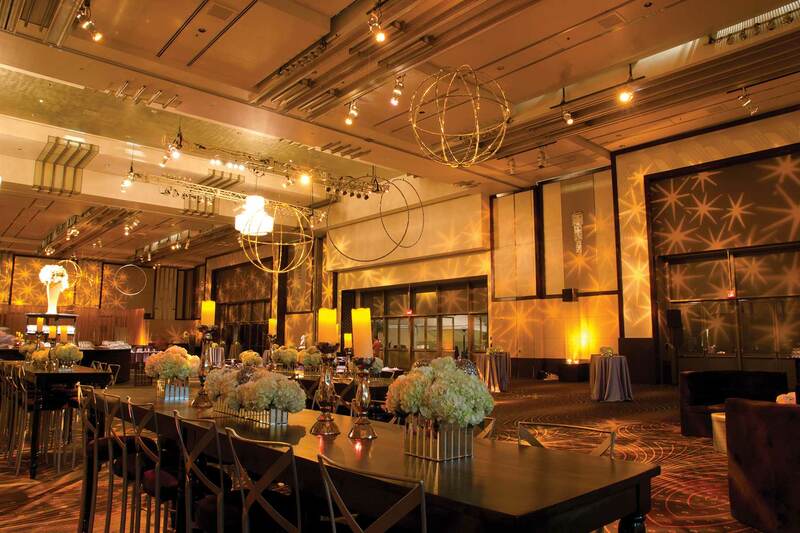 With soaring ceilings, art deco details, six divisible salons and staging and AV capabilities, the Ray Dolby Ballroom accommodates galas, tradeshows, breakouts and performances. 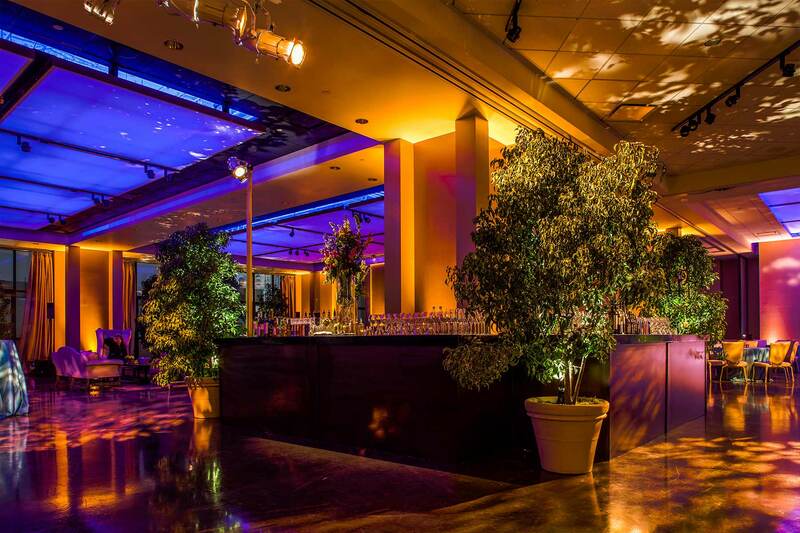 Our most adaptable setting, The Annex is a multi-dimensional, 12,000 square-foot space, complete with polished urban concrete floors and creative lighting features that provide a blank canvas for your event theme. With views over Hollywood, this space is perfect for a birthday bash, a brand launch party or meeting breakout sessions. Hollywood’s best-kept secret, the Vantage Room features floor-to-ceiling windows with eye-level views of the Hollywood Sign. 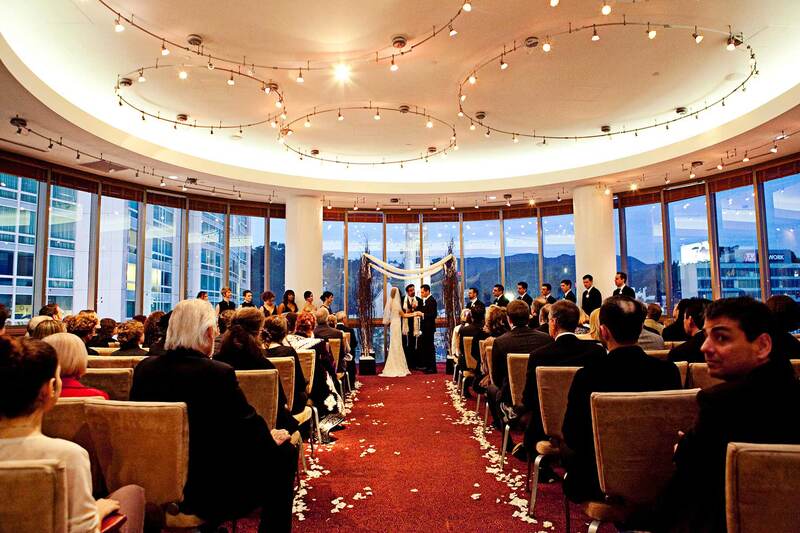 This intimate, private area provides 1,750 square-feet of space accompanied by modern lighting ideal for a wedding ceremony, a reception or a corporate dinner. For large, open-air events, don't overlook the Central Courtyard. Dramatic architecture and iconic views are the perfect backdrop for concerts and large, city-wide events that can accommodate any crowd. 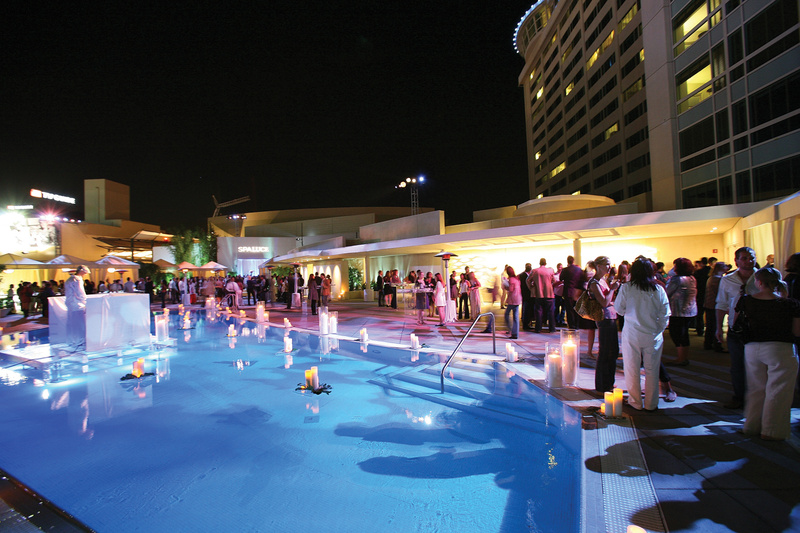 The Pool Terrace offers guests an engaging rooftop venue with a captivating view of Hollywood. Perfect for an informal barbeque or a VIP reception, this 12,000 square-foot space sets the stage for an event to remember.